This recipe couldn’t be easier. 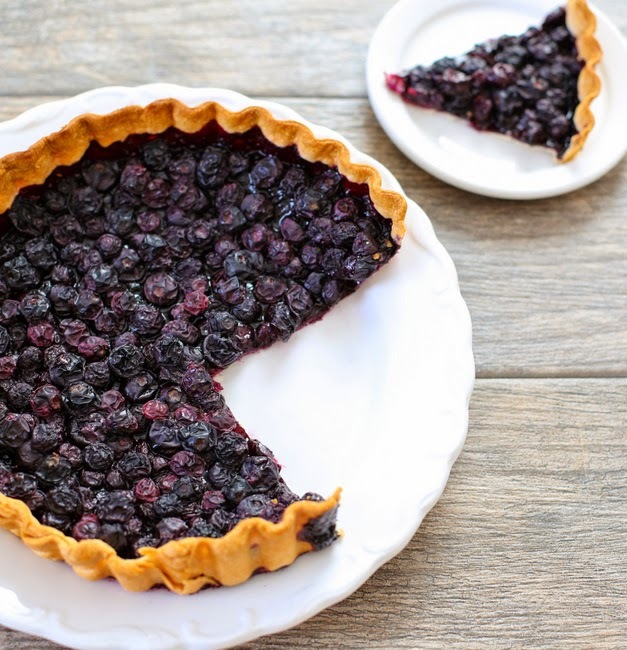 With just 2 ingredients, you can make a homemade blueberry tart. 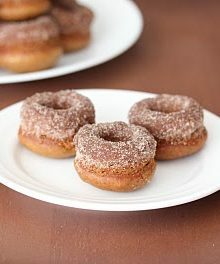 Sometimes you come across a recipe and you just have to make it immediately. 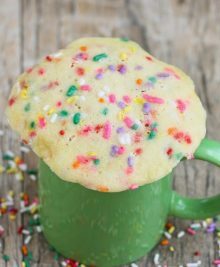 That’s what happened when I came across this ridiculously easy recipe. Luckily I had both ingredients in the house. 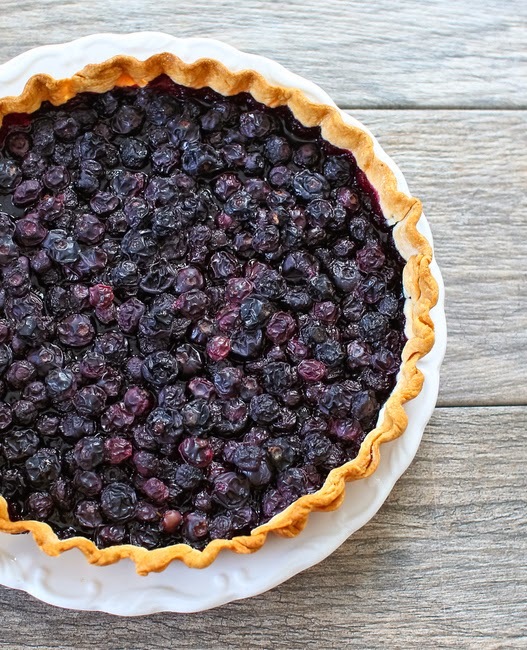 All you need is pie crust and blueberries. 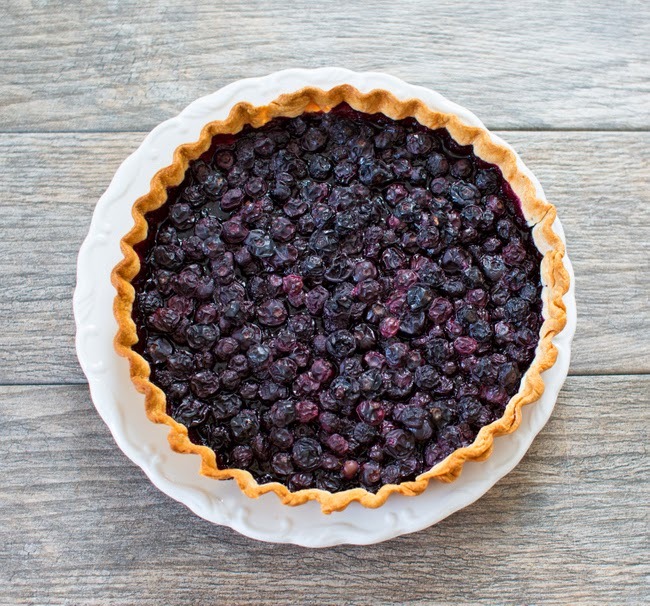 Press the pie crust into a tart pan, add the blueberries on top, bake, and you’re done! It’s not the most amazing tart in the world but it is pretty good. 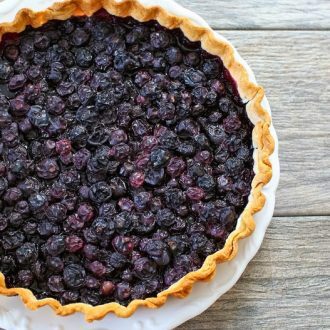 It’s filled with juicy, plump blueberries and has a buttery, flaky crust. This recipe couldn't be easier. 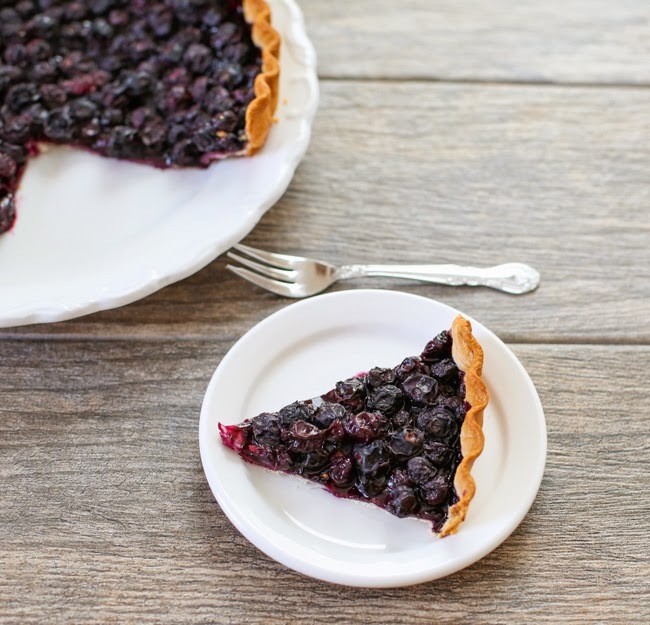 With just 2 ingredients, you can make a homemade blueberry tart. Place the pie dough in a 11-inch tart pan. Press it into the bottom and sides of the pan. 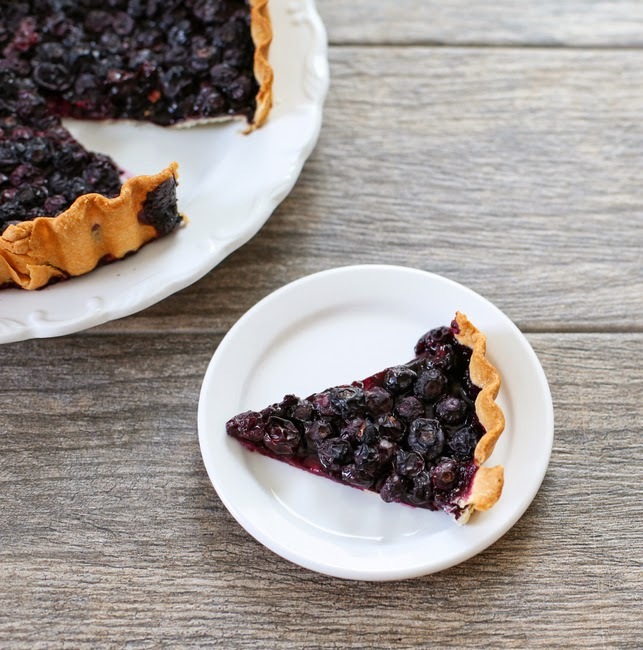 Place the blueberries in the tart pan and spread them into an even layer. Bake the tart for 30 minutes or until the edge of the crust is golden brown. Cool the tart for five minutes. Slice and serve with ice cream or whipped cream, if desired. For the dough, follow the instructions listed on the package for softening it. I would use Trader Joe’s pie crust for this recipe! Two ingredients, that’s awesome!!! 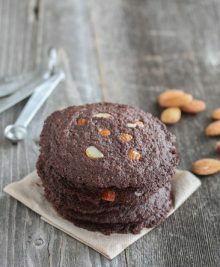 it’s a great recipe to have around when you need something simple and quick!